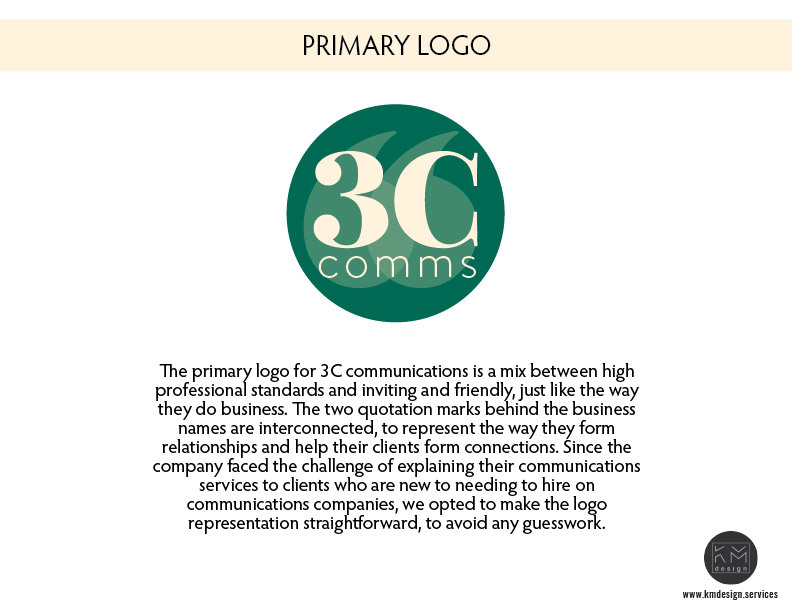 Oh, what can we say about 3C? When clients become friends, you just can't beat that! 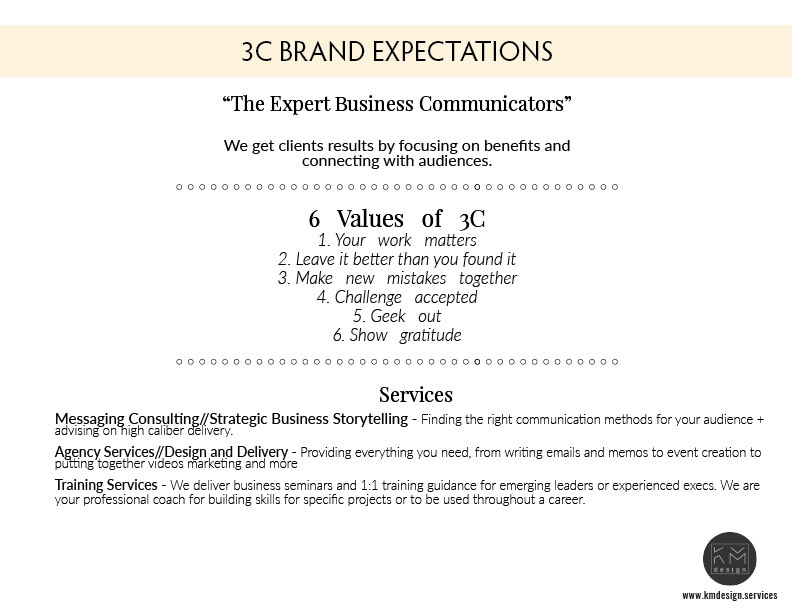 The team at 3C is a wickedly smart communications team. Their gazelle-like focus on how to get the best outcome for their own clients is inspiring, so acting as their brand strategist in order to help them communicate their business with the world was an exciting opportunity. 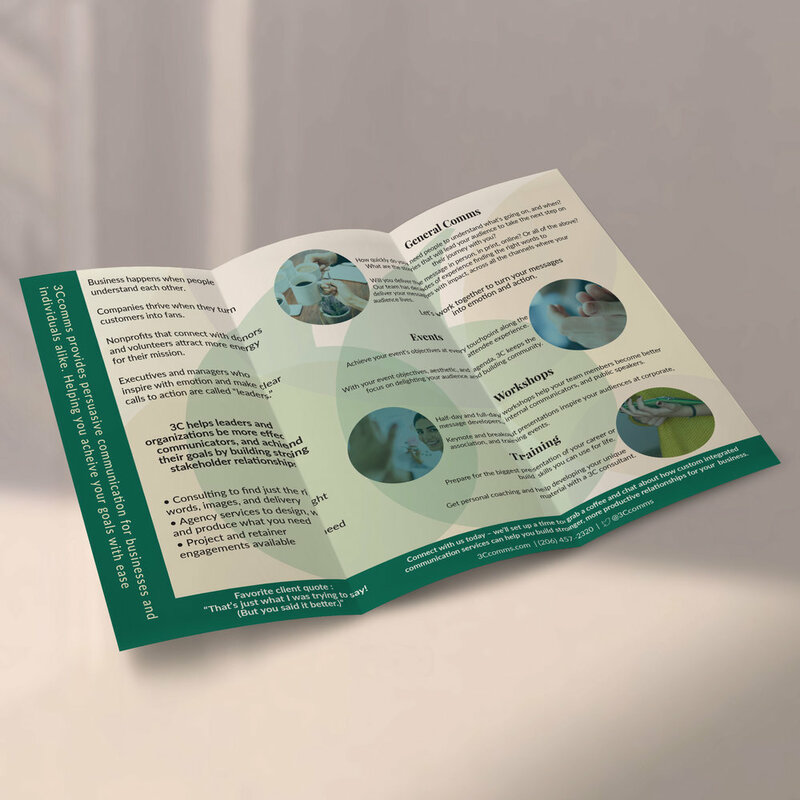 The company does a lot of different things, so the challenge we faced was presenting their services in a way that focused on the positive outcomes they produce for their clients. Then, creating a visual identity that appeals to both their highly professional tech clients, and to their more "boutique" fun clients as well.